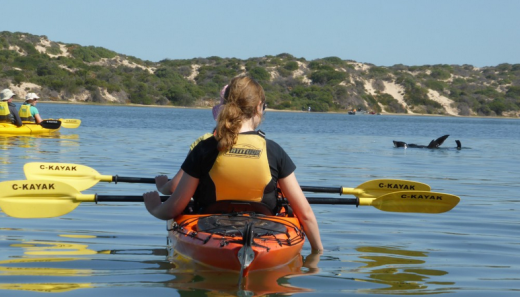 Millions of domestic and international tourists wouldn’t know it, but the SA Coorong National Park waters are filled with many thousands of aggressive long-nosed fur seals, so many that fisherman in the area and tourism operators up the Murray River are calling for a cull. No explanation for the population explosion has been offered, so there is no tourism industry downstream/ out toward the waters willing to attract or profit from the seals’ playfulness. Only one boat tour and one canoe operator appear to be running in the area, and on ‘exploratory’ trips that imply incidental sightings rather than seal watching tours. 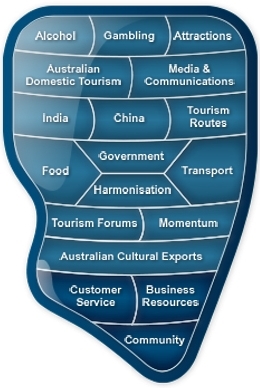 The main argument in parliament is from the fisherman losing income and for tourism upstream – no-one is arguing for tourism off the coast, no matter how potentially profitable it is. A booming fur seal population in South Australia has sparked calls for a “humane” shooting program, as fishermen warn that only ­urgent action will save an industry on its knees. An increasing number of “rats of the sea” have infiltrated the Coorong and Murray Lakes and have been seen as far as Murray Bridge, 75km southeast of Adelaide, sparking fears about their impact on the Murray River’s recreation and tourism industry, which is worth about $500 million a year. Ski racing state titles last month were abandoned over safety fears ­related to seals. Liberal agriculture parliamentary secretary Adrian Pederick will move a motion in state parliament today to sanction a cull to ­reduce seal numbers, which have increased to more than 100,000, an annual rise of more than 5 per cent. Mr Pederick said fur seals were wreaking havoc on the environment, attacking rare birds and pelicans and threatening the ­viability of the fishing industry. More than 400 people in his southern Adelaide electorate have signed a petition backing a cull. Mr Pederick said the “invading” seals were causing great ­distress to the environment and the fishing industry throughout lakes Albert and Alexandrina and into the Coorong. “I am not talking about a wholesale harvest, I am talking about sensible management using a dedicated, high-calibre weapon with professional shooters,” Mr Pederick said yesterday. “I think they (seals) are smart enough to disappear fairly quickly and get back out to the sea where they belong.” Mr Pederick said the long-nosed fur seals, formerly known as New Zealand fur seals, were “like the rats of the sea… eating in just three days the equivalent of the whole lakes’ and Coorong’s fishery allocation for one year”. Second-generation fisherman Tim Richards, 50, said seal numbers “have just absolutely gone out of control” during the past 18 months and his industry “is on its knees”. Mr Richards’s business is ­located in the small fishing town of Meningie on the banks of Lake Albert, the gateway to the Coorong, 150km southeast of Adelaide. He said fish stocks were being damaged by seals and certain areas were no-go zones because of them, with catches and incomes halved. Pelicans also were suffering torn chests and necks from seals, he said, and the region’s sensitive ecosystem was out of whack. “I definitely support control measures, whether you call it a cull or whatever,” he said. Waterproof devices such as crackers and pingers that government authorities wanted fishermen to use to scare off seals were only temporary measures that “last for a month until the seals get used to them”. “The seal numbers just need to be controlled … time is our enemy,’’ Mr Richards said. Greens MP Tammy Franks said a cull was a “kneejerk reaction” and called for a cross-party response to consider other ­options, including “acoustic harassment devices”. A government spokesman said yesterday there were options other than culling, including modifications to fishing gear, ­exclusion devices and the development of non-lethal deterrents. Many MPs are understood to be worried about a wider community backlash to a seal cull. University of Adelaide professor of ecology David Paton has backed a cull, saying the key was educating the community about the reasons and reassuring people it would be humane. SWIMMERS could be forced out of Lake Albert due to the abundance of New Zealand fur seals. While June might not be the ideal time to go for a dip, come summer, seals could pose a real threat to lake users. Coorong District Council had considered whether to install “do not swim” signs on the lake’s foreshore but decided against it, according to Mayor Neville Jaensch. “Obviously we’re concerned because there is a level of risk to the community because they’re not used to dealing with the risk of seals,” he said. The idea that people could be deterred from swimming in the lake has Meningie tourism operators concerned. Lake Albert Caravan Park owner Jacqui Grant said it would hinder their business. “When it’s hot, everyone’s out in the water because it’s so shallow, they catch carp and it’s all good fun,” she said. The seals have been known to aggressively attack rare birds in the Coorong and could do the same to children swimming. Meningie Sailing Club president Steve Starling had not seen any seals near the club, but said sailors would not be able to safely launch their boats or use the lake recreationally if seals started to appear. Chaos was caused further upstream at Murray Bridge on Sunday with the ski racing state titles cancelled due to safety concerns for skiers and seals. “The cost to the community because the event was cancelled has to be answered by somebody,” Mayor Jaensch said. “The management of seals is not a council issue, even though we empathise with the businesses and fishers. Large numbers of the seals have made the Coorong and Lower Lakes home since 2007. 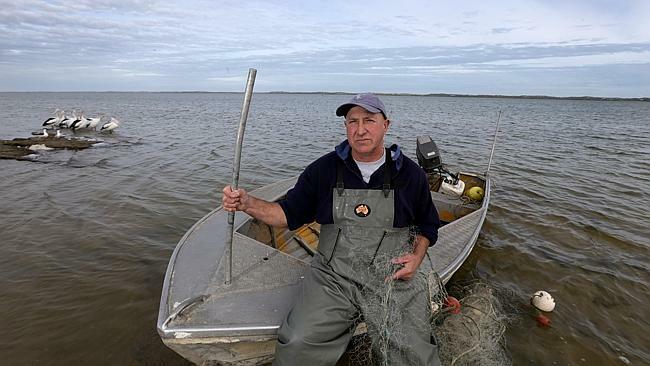 Coorong fishers have lobbied the State Government for relief, whether through a selective cull, lower or suspendable licence fees, less restrictive regulations or access to seal-scaring devices, but their pleas have fallen on deaf ears. State Environment Minister Ian Hunter said the management of fur seals was a complex issue but they were working with the fishing industry to reduce the impact of the seals on catches and nets. “The State Government has already stated that selective culling will not be considered and is unlikely to be effective as other seals would very quickly move into the area,” he said. “The Department of Environment, Water and Natural Resources (DEWNR) is developing a state-wide policy to guide the management of interactions between long-nosed fur seals and the marine industry, with input from other Government agencies including Primary Industries and Regions SA (PIRSA) and the fishing and aquaculture industry. MEMBER for Hammond Adrian Pederick is demanding the State Government prepare and implement an Overabun-dant Native Species Manage-ment Plan immediately for the New Zealand fur seals. “Cultural rangers are having to euthanase pelicans with broken wings or with their legs torn off; injuries inflicted by the New Zealand fur seals,” he said. “The seals get into tuna pens, damage fish, kill fish, and cost thousands of dollars in lost production of fish and in lost sales due to damage. He has started a petition calling on the State Government to take action, including a sustainable harvest of the fur seals. -Details: Copies of the petition can be signed and collected from Adrian Pederick’s office at 20 Mannum Road, Murray Bridge. The fishing industry in South Australia warns booming fur seal populations are threatening livelihoods by attacking their fishing nets and are preying on rare species and other birdlife, leaving rangers to put down pelicans in distress. Coorong Wild Seafood owner Tracy Hill told 891 ABC Adelaide the seals were now seen in areas near the Murray mouth where they were not previously known. “It’s having an impact on the fishermen in the Coorong and the Lower Lakes, I can tell you that. We’re going to be an endangered species ourselves if something can’t be done about them,” Ms Hill said. “There’s meant to be a 30-metre distance between seals and humans, well they haven’t told the seals about that. She said historical data showed no evidence of seals in the Coorong or the freshwater lakes near the Murray mouth, and some had been seen in recent times attacking nets just south of Wellington, well upstream from the coast. “The seals are attacking rare and endangered birds, such as the musk duck in the Coorong, and they’re attacking pelicans, biting their legs off and attacking their wings,” she said. Other fishermen agree there is a threat to livelihoods. 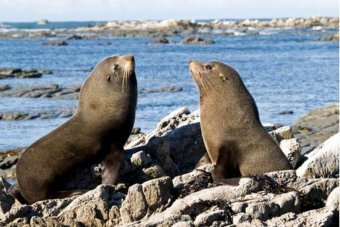 Northern Zone Rock Lobster Fishermen’s Association member Kyriakos Toumazos said New Zealand fur seals were taking over habitat around places such as Kangaroo Island, south of Adelaide. “It’s a species that basically takes over the habitat from the Australian sealion,” he said. “On Kangaroo Island the numbers of the Australian sealions are continuously declining due to the habitat takeover. Mr Toumazos said the marine system was struggling because the fur seals were aggressive. “The way we all have to view it is we have only one marine ecosystem and we are all harvesting fish out of that ecosystem. The seals obviously are competing for the same food source,” he said. “You’ve got a predator attacking as much of that fish source as it can get its hands on. 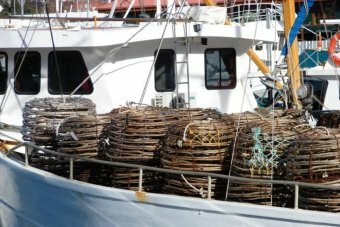 SA Department of Environment monitoring advisor Dr Brad Page said the Government was working with the fishing industry to come up with a solution other than culling. “Some places in Tasmania have used firecrackers to scare seals away from fishing and aquaculture operations,” he said. Family First MLC Robert Brokenshire said a Parliamentary inquiry had considered the problem. “Some people have called for culling, now the reality is that we can’t do that,” he said. He said SA could not afford the bad reputation it would gain across the world if it culled. Mr Brokenshire said officials had warned the fishing industry on Kangaroo Island of a bleak outlook. “With the growth of the fur seal population, it’s estimated within a few more years they will eat the equivalent of the whole of the Australian licensed fish catch per year,” he said. The Upper House MP said environment officials had argued with him and others that the fur seal population was only returning to levels it had before seals were harvested in a past era. “They take the view that nature is actually just bringing it back into balance,” Mr Brokenshire said. SA Opposition Leader Steven Marshall said the Government had been slow to deal with the threats to both the fishing industry and environment. “It’s an area where the Government has just been burying its head in the sand, with other species as well,” he said. Mr Marshall said the Liberals were willing to work with the Government on responding effectively.